This fascinating movie from Cassini shows the changing shapes of features in the outer haze layers of Titan's atmosphere. The original movie was created from 36 images taken over the course of three hours as Cassini receded from Titan, following its flyby on March 31, 2005. 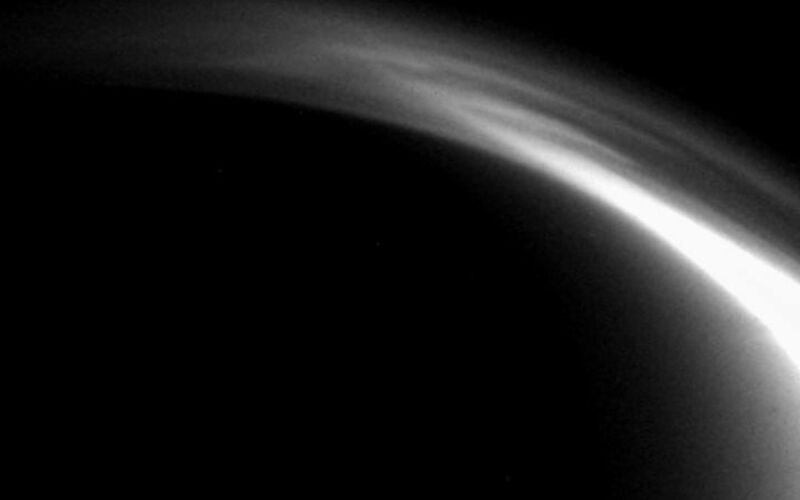 These observations were made about four and a half to eight hours after Cassini's closest approach. Additional frames were inserted between the 36 Cassini images in order to smooth the movement of the atmosphere -- a scheme called interpolation -- for a total of 71 frames in the released movie. The most obvious changes in this movie occur in the bright layers in the middle of the arc, near the one o'clock position, where hazy filaments appear to flow and merge. Near the 12 o'clock position there is wave motion from right to left. 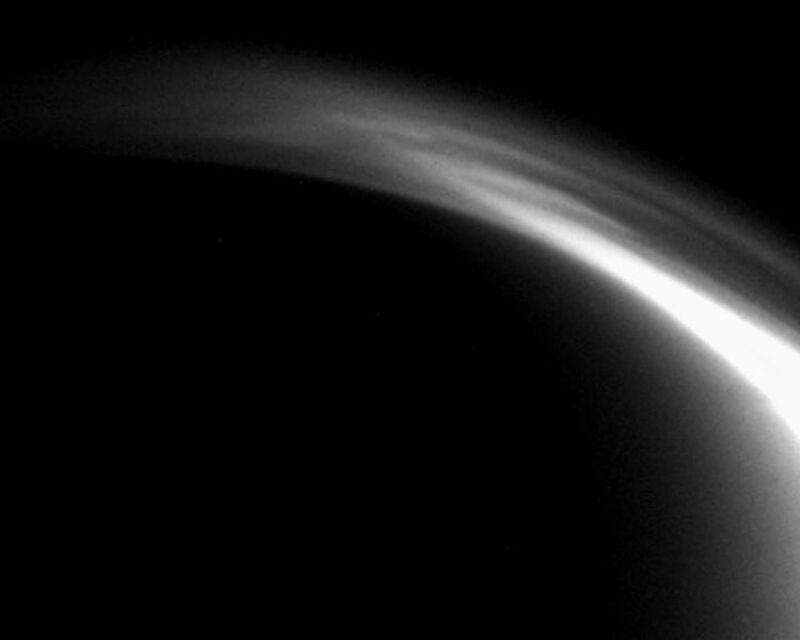 The changing features represent a great deal of dynamic activity high in this cold, hazy atmosphere. They resemble the activity observed during Cassini's first Titan encounter. The images for this movie were taken by the Cassini wide-angle camera on April 1, 2005, using a filter sensitive to visible violet light and were acquired at distances ranging from approximately 99,000 to 155,000 kilometers (62,000 to 96,000 miles) from Titan. Resolution in the images changes from 6 to 9 kilometers (4 to 6 miles) per pixel during the movie. The frames have been scaled so that Titan does not appear to shrink in size as Cassini moves away.